Inthis lush, humane book, noted poet Molly Peacock shows a terrific hand forcrafting prose as she delves into the life of Mary Delany, a woman whose fascinatingmilieu around 1730s London is illuminated partly by what she accomplished ather life’s end. 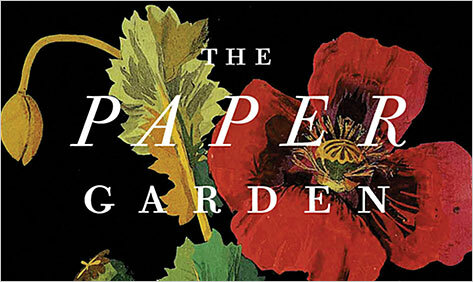 After the death of her second husband, Mrs. Delaney embarked onwhat would finally make her always memorable life most worthy of note: aseries of flower “mosaicks”, beautifully cut layered papers thatcollage into cunning botanical renditions. The flowers that emerge out of thecut paper are a craft so fine they become art, and an art so keenly observed itbecomes a kind of science. Tocall this book small or quiet would be somehow to belittle what Peacock has sobeautifully magnified and made resonant—the triumph of art as a human pursuit,and the curious webs from which both art and craft spring. This book is notflashy, but it is one of the more beautifully constructed and deeply engrossingbooks I have read in some time. It is a keen reminder of what the fruits ofvivid watching—and passionate living—can offer. Tess Taylor is the author of the poetry collection The Forage House. Her nonfiction and poetry have appeared in the Times Literary Supplement, The New York Times, and The New Yorker.